Marketing is something many struggle with, and it’s easy to get stuck when trying to come up with new ways to market your business. Googling how tos can take up a lot of time, and you can’t always trust the advice. And it’s also important to have a strategy for your business, rather than just randomly trying various things to see if they work. I have tried many approaches, courses and workshops over the years. Some have been a complete waste of time and money, but then there are some that really stand out from the rest. Here are some of my favorite resources when it comes to learning how to market your business. I LOVE everything that Lisa Jacobs does! 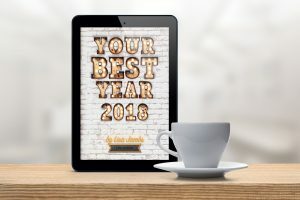 Her annual “Your Best Year” books are packed with invaluable worksheets, tips and how tos, and all her courses are fantastic. You definitely get a lot more than you pay for. Your Best Year 2018 was just released and it is amazing as usual! You don’t get through a single page without having an aha moment! I’m filling page after page in my notebook with new ideas I can’t wait to try. 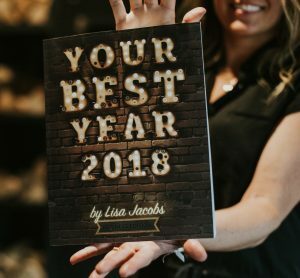 This year, Lisa is doing one business edition and one life edition, and right now, you can get both for free! Prompts, goal-setting exercises, goal-prioritizing exercises and tough questions that MUST be answered in order to create results. Trackers and review to help you make the most of your time with high-efficiency and focus. A place to capture your wins each month, a record of review, a focus on the five pillars, a record of memorable moments, improved habit and performance trackers, a revolutionary goal-setting system, a revolutionary goal-setting worksheet, and a mix of instruction and application. Refreshers on the fundamentals: what to focus on, how to make progress, how to get your goals. Introductory chapters that will help you make the most of every season of your life. Examples for every worksheet. No more guessing what an exercise means, examples follow each exercise or instruction. Instructions on how to use this workbook. Decision-making tools that will launch you into the leader’s circle. Vision for success worksheets and creative prompts. Fear-naming exercises and helpful insight. Motivational worksheets to keep your engine running and your creative juices flowing all year long. Monthly tracking tools, weekly reviews, unfinished business eliminators, daily scorecards, and more! I honestly can’t say enough good things about these books! If you are serious about your business, it’s one of the best investments you can make (and one of the most affordable, especially now that they’re free!) Get them here. I am also a member of her Luminaries Club, and cannot say enough good things about it. It has been a game changer for sure. More than “just” marketing, the club is an entire small business package, with online classes that teaches everything from figuring out your target market to copywriting, to time management, and a private Facebook group. You can see exactly what the membership includes here. Even if you don’t join the club, there is tons of valuable information on her blog. And she does goal setting challenges where she shares the things she wants to accomplish for her business and encourages you to do the same. The current one is called 18 before 2018 – check it out here! Kate Ahl’s Simple Pin Podcast is a fantastic resource for anyone using, or thinking of using (you should! ), Pinterest for their business. She interviews people from a lot of different types of businesses, but listen to every podcast even if you don’t think it applies to you! You’ll learn something new every time. Simple Pin also have a couple of online Pinterest courses, which I have taken and absolutely recommend! Marketing on Pinterest is a long term strategy and you have to be patient, but when you learn how to do it right, the rewards are huge. 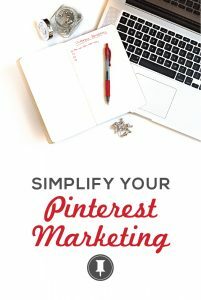 In the Simple Pin Master Course, you learn everything from how to set up your account on Pinterest to creating perfect pinnable blogposts and images that are optimized for getting repinned. You can try it for 30 days to see if it works for you. You might not know this about me, but my full time “job” is as a photographer. I am professionally trained, I graduated photography school back in 1994 (!!) and did it as a side hustle for way too many years while working “real jobs” in the corporate world. My mistake was not believing in myself and that I could succeed and make a living on something I was truly passionate about. Meanwhile, I was feeling more and more frustrated with not living my dream and really started to resent the “cubicle life”. All that changed a few years back when I decided that enough was enough. I had been following Catherine on social media for a while, and had been on the fence on joining her professional coaching program, but then one day (it was in May, and I had had a horrible day at work), I thought to myself: am I going to continue this until retirement? Do I really want to spend the majority of my life supporting someone else’s dream, someone who didn’t even seem to appreciate my contributions? What have I got to lose? And I joined. That really was the turning point for my own business, and I have been self employed ever since. And made more money than I did in all the years of doing photography on the side combined. Catherine has both a free Facebook group and the more personal one-on-one and group coaching that I’m now part of. Both programs are fantastic, she is such a sweet and supportive person, and really knows her stuff. She trained at Christie’s in Paris and has worked in many galleries, both in Europe and North America. Her coaching is not just for painters and photographers, our group is a great mix of a variety of creative people. 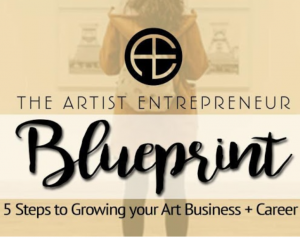 If you are a jewelry maker (or any other creative in business for yourself), check out her 5-Step Blueprint to Growing Your Art Business + Career, as well as her blog post on growing your business in 2018 and her 7 Ways to Increase Sales Cheat Sheet. I think you’ll like her as much as I do!